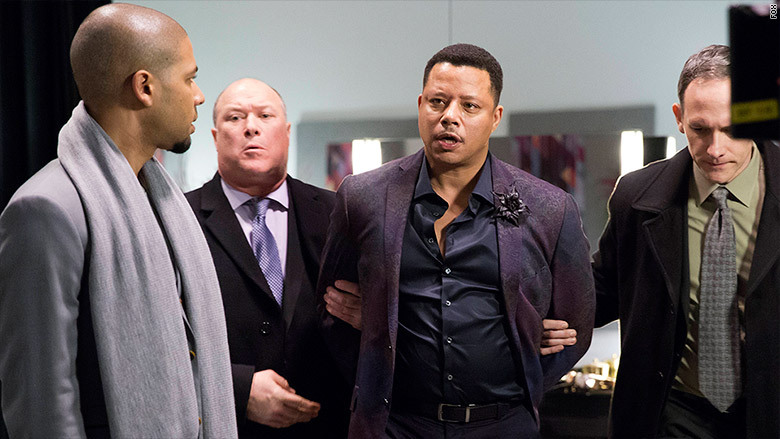 "Empire" has been a runaway hit, growing with each passing episode. Roughly 16.7 million viewers tuned in for the two hour long season finale of Fox's hit sensation making it the highest rated episode of the season. The show's 16.7 million total viewership also means that "Empire" never dipped in ratings, growing in audience for 10 consecutive weeks, a truly remarkable television streak. This number was an 12% audience increase from last week's 14.9 million viewers, which was the highest rated episode of the season. In the 9 p.m. hour (the show's normal time slot) "Empire" brought in even bigger numbers with 17.6 million viewers. As for the prized advertising demographic -- viewers aged 18 to 49 -- the show hauled in 6.5 million. Fox's musical drama brings in a healthy live audience, but also gets a boost when accounting for delayed viewing via cable video-on-demand and DVR services. Case in point, "Empire" has been the No. 1 TV series on Comcast's video-on-demand since premiering in January. That January premiere itself brought in 9.9 million viewers with an extra 3.1 million viewers within three days of the broadcast thanks to delayed viewing. This made it one of Fox's biggest ratings successes of the season. Yet, after going up in viewership each week that big number now looks somewhat miniscule. Along with a sizable delayed audience, "Empire" was also propelled by a strong African-American viewership. According to Nielsen, 61% of the show's audience is African American -- another astonishing feat that no other prime time series has been able to match. The "Empire" finale was also a huge hit on social generating 2.4 million tweets and 15.8 million likes, comments and shares on Facebook over the two hour finale. If you want to catch up with "Empire" online, don't expect to head over to Netflix to find it. Hulu announced on Thursday that it grabbed the exclusive subscription video-on-demand rights for the show via a deal with Twentieth Century Fox TV. All episodes from the first season were already available on the service, but with the new deal all future episodes will now be hosted on the site.